Have questions? 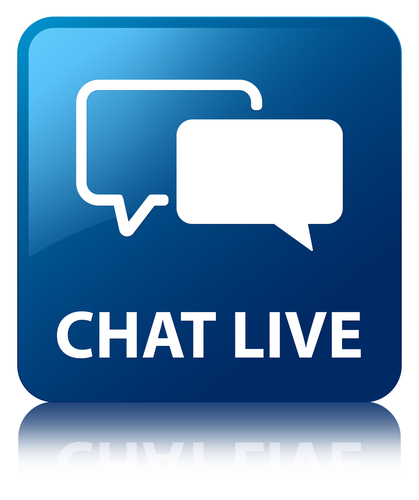 Join us on "live chat" online now! One of our advisors will be happy to assist you and respond to your questions. Please visit our interactive web blog. Here you will find frequently added information on our programs, articles and news by practice specialty, and much more. Register and become a part of our professional health care community. 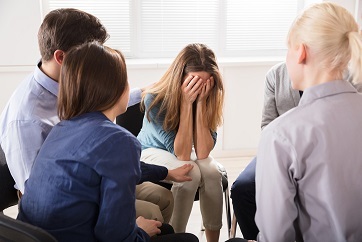 The American Academy of Grief Counseling offers comprehensive, quality, Certification and Fellowship programs for qualified professionals including, physicians, nurses, counselors, social workers, funeral directors, clergy and other professional providers practicing the specialty of Grief Counseling. The AAGC offers a two-tier program beginning with Certification of Grief Counselors with advancement to Fellowship status in the Academy. Provide high quality programs of Certification and Fellowship for professionals practicing grief/bereavement counseling. Develop and support high standards of education and practice requirements for the attainment of certification, fellowship status, and re-certification. Provide a mechanism for the ongoing involvement of a peer advisory board of qualified professionals to oversee program development and requirements for certification and fellowship in the AAGC. Provide society with a mechanism to ascertain the appropriate education, skills, knowledge and experience required by professionals who offer such services. Establish quality standards and requirements for the re-certification and re-fellowship of its credentialed members, attesting to ongoing education and skill attainment in the practice specialty of grief/bereavement counseling. Provide a comprehensive program of approvals for continuing education, seminars, offerings, independent study, and other related educational activities, to ensure high quality standards are met and that such programs are of value to professionals practicing grief and bereavement counseling. Completion of an official, established education program to prepare health care professionals for the practice of Grief Counseling/ Bereavement Therapy. Educational programs must have provided a minimum of 100 hours of lecture/study and be offered by a college/university or a professional organization. Candidates for certification must present valid evidence of successful completion of such program. The AAGC review board will review and approve programs on an individual basis. Once a program is approved, it will be published as “approved” by the AAGC. Programs submitted for approval consideration must have their curriculum specifically based in grief counseling and bereavement therapy theory/practice. Curriculums must include content/theory on death, dying, grieving/bereavement, interventions, grief therapies, grief assessments, and child grief, at a minimum. To view approved programs and courses, click here. Candidates whose can demonstrate evidence of successful completion of such programs within a five (5) year period prior to the date of application for certification, and meet the prerequisites for certification (see below), are eligible to receive certification as a Grief Counselor. Completion of the continuing education program in Grief Counseling offered by the American Academy of Grief Counseling. Candidates must meet one of the prerequisites provided below to enter this education program. Upon completion of the four core courses in Grief Counseling, the candidate may then apply for official Certification. This program of education consists of core continuing education courses designed to meet the specific education standards as developed by the American Academy of Grief Counseling. All courses are offered by distance education, and candidates have two full years to complete the complement of courses. For full program information: access here. Prerequisites to enter the continuing education program for Certification eligibility are provided below. Candidates must meet a minimum of one prerequisite to be considered for entry into the program. Other college degrees may be applicable if they are in a related area or if the candidate can verify significant job experiences working with grief/bereavement under the direct supervision of one who would qualify as a candidate above. Such cases are evaluated by the Academy on an individual basis. Once Certified, members must commit to adherence to the Code of Ethics for Certified Grief Counselors and adhere to their specific profession’s Standards of Practice. 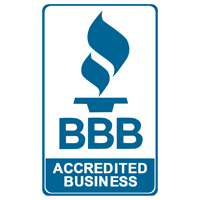 We have a dedicated page that provides a quick over-view of our certification process. It will provide you with good information about the process/phases of both the education courses and application for certification. Click here to access. Once Certified by the American Academy of Grief Counselors, certified members may enter the Advanced Certification Program and become certified as a “Grief Recovery Practitioner.” Candidates must be currently certified in grief counseling by the American Academy of Grief Counseling and hold a graduate level degree in order to qualify for entry into this program. For complete information please click here. Once Certified by the American Academy of Grief Counselors, certified members may enter the specialty Certification Program in Child and Adolescent Grief Counseling. For complete information please click here. The American Academy of Grief Counseling also offer a full CE Education and Certification program in Pet Loss Grief Recovery. For complete information please click here. Once Certified by the American Academy of Grief Counselors, certified members may enter the specialty Certification Program in Christian Grief Counseling. For complete information please click here. All certifications shall be for a period of 4 years from the date that the initial certification by the AAGC is granted. Obtaining 50 or more hours of continuing education within the four year period of certification. Click here for the Criteria for Re-Certification. Have successfully advanced to Fellowship Status in the AAGC prior to the expiration of their current certification. Once a certified member achieves Fellowship in the AAGC, they are required only to reapply for Fellowship status, and continue to maintain their Certification along with their Fellowship. Those applicants who have successfully achieved certification, or re-certification by the AAGC will receive a large size official Certificate attesting to certification, as well as an official letter of notification. The certificate is suitable for framing and details the official professional certification title, initials that may be used, and time frames for certification. Those re-certifying receive a new, updated certificate. The Code of Ethics for Certified Grief Counselors and Fellows of the American Academy of Grief Counseling may be viewed online by clicking here. The Code of Ethics is approved by the Governing Board and the Advisory Board of the American Academy of Grief Counseling. 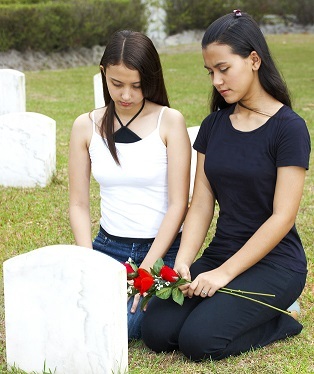 The certification fee for Grief Counselors is $200.00 for the four year term of certification. Payment in full is due at the time of application. A completed application must be mailed in to the AAGC with full payment to be considered for certification. Application is available on this website. Application for Re-certification is $200.00 for the next four year period. This is a one time payment and is required in full at the time of application for re-certification. A completed application must accompany the payment. Major credit cards are accepted. Check and money orders are to be payable to: The American Institute of Healthcare Professionals. The AAGC provides for a Fellowship status for Certified Grief Counselors. Fellowship is granted following the successful completion of all requirements as defined by the AAGC. Fellowship status is considered the highest form of professional recognition by a certification body, and attests to the Fellow’s ongoing commitment, knowledge attainment, skill, and practice experience in the field of professional Grief Counseling. Those who achieve Fellowship status are deemed a “Fellow in the American Academy of Grief Counseling “, and may use the initials, FAAGC. Fellows may also continue to use the initials GC-C as they maintain their initial certification along with their Fellowship. Those certified applicants who successfully complete the Fellowship requirements shall be designated: “Fellow in the American Academy of Grief Counseling” and may use the initials “FAAGC“. Click here to view education programs that are approved by the AAGC. Click here for the Grief Counseling Blog. The American Academy of Grief Counseling also offers a comprehensive program for “Pastoral Thanatology” Certification. Click here for complete information.